Ochazuke, as implied by the name, is basically when you’re given a bowl of rice and tea and you mix the two. It might seem strange, but it’s actually pretty good. It’s like making your own porridge in a way. 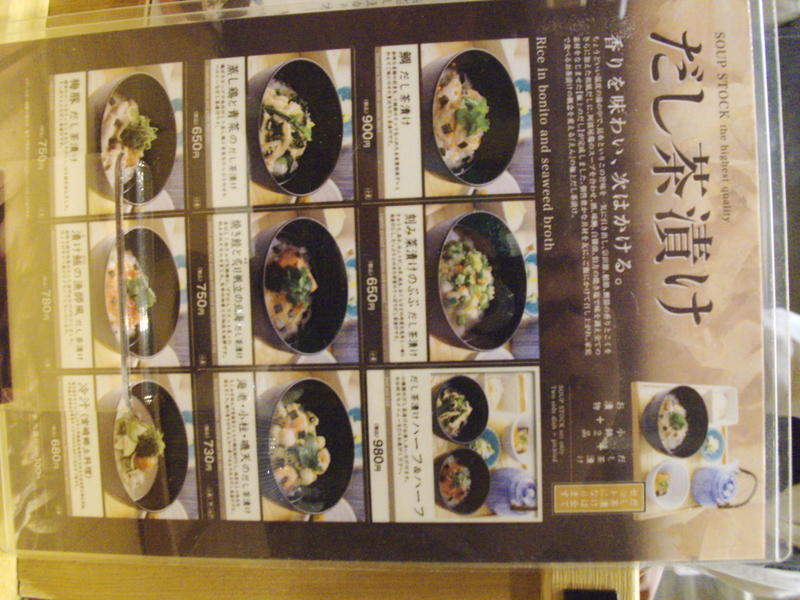 In downtown Tokyo, we came across this place called Dashi Ochazuke (descriptive!). 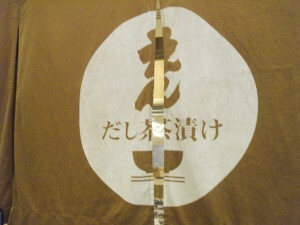 As the name implies, they use dashi stock in their “tea”. 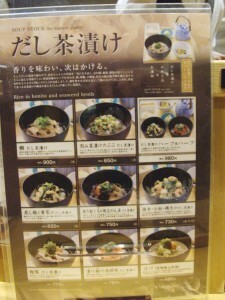 Lots of different kinds, differing mostly in what toppings they put into the rice bowl. For instance, I got sea bream in mine, but there was also a vegetable bowl, a tuna bowl, a chicken bowl, and others. 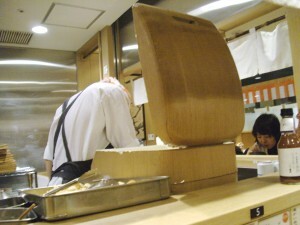 They also have an awesome rice-cooker. As you’d expect, it’s huge. 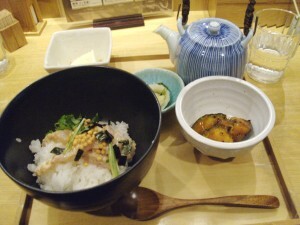 Food came out in a set, with chilled tofu, pickled vegetables, and pumpkin or some squash to round out the rice and tea. The pumpkin (squash?) was really good, the consistency was perfect and the sauce was good, too. I also really liked the sea bream, nice and fresh. The tea was pretty good too, the dashi stock was delicious. Well, “tea” anyway, it basically tasted like soup to me. Never actually had ochazuke before, but if you’re the kind of person that likes to pour soup into their rice bowl, like me, you know what you’re getting into.